Integrated Device Technology, Inc (IDT) has announced its collaboration with Blu Wireless Technology to demonstrate integrated wireless charging with ultra-fast 60GHz WiGig data transmission, a combination that will enable consumers to charge their phones and tablets while streaming the highest quality 4K HD video and photos to their televisions and computers—all without the need for cords. 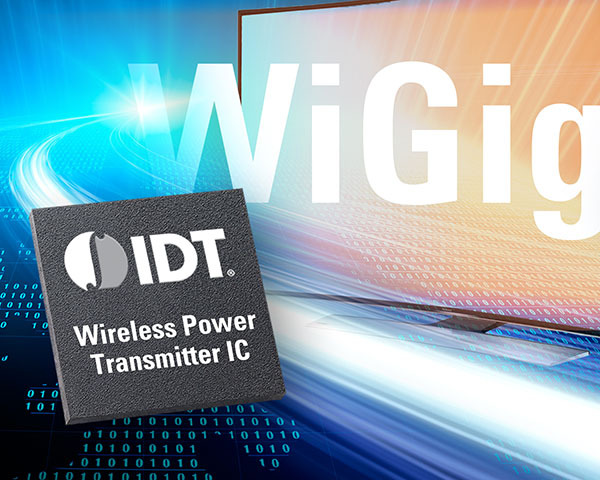 The collaboration will team IDT’s expertise in wireless power with Blu Wireless’s know-how in WiGig, which allows devices to communicate wirelessly at multi-gigabit speeds. The single-module technology targeted by the companies will, for example, enable consumers to wirelessly charge their devices while cordlessly transmitting uncompressed video of 1080p directly to their HDTV.